Green tea is regularly getting popular all over the world as a raw material various beverages, dietary supplements, and cosmetic items. Green tea is made from the leaves from Camellia sinensis that have undergone minimal oxidation during processing. Green tea originated in China and relatively getting widespread in the Western World where black tea has been traditionally consumed. Let’s see some of the amazing health benefits of green tea here on this page. Green tea has tons of health advantages. People especially Women’s are always concerned to trim down their excess weight and stay lean and healthy. Drinking Green Tea allows your body to break up fat at a faster rate and help you achieve easier weight loss. The very reason why green tea is good for losing weight is that it does not threaten or interrupt the digestive system. Weight loss is a natural effect because of the antioxidants that are present in Camellia sinensis, the primary ingredient of green tea.One of the valuable antioxidants present is the polyphenols. These polyphenols are the key nutrients that enable the body to remove the extra weight and stored fats. However, weight loss is not the only benefit of polyphenols but also it combats the free radicals found in your body. Green tea speeds up metabolism. The presences of manganese, polyphenols, riboflavin, help accelerate the metabolic rate of the body. It also suppresses fat absorption. This finding is associated with the ability of the tea to regulate the glucose in the body. Inhibiting the glucose can lessen the insulin production, which is the major cause of fat storage. Drinking this tea also control your food cravings. It may be hard to clearly define what curbs your appetite in drinking green tea, but experts said that it has something to do with the ability to control the blood sugar level, thus its effect is to restrain hunger. It also regulates blood sugar level. Green tea is used to improve mental alertness and thinking. It is also used for weight loss and to treat stomach disorders, vomiting, diarrhea, headaches, bone loss (osteoporosis), and solid tumor cancers. Some of the important health benefits of green tea: To prevent various cancers, including breast cancer, prostate cancer, colon cancer, gastric cancer, lung cancer, solid tumour cancers and skin cancer related to exposure to sunlight. Women’s also use green tea to fight Human Papilloma Virus (HPV), which can cause genital warts, the growth of abnormal cells in the cervix (cervical dysplasia), and cervical cancer. Green tea may boost our working memory. Green tea bags can also be applied to their skin to soothe sunburn and prevent skin cancer due to sun exposure. Green tea bags are also used to decrease puffiness under the eyes, as a compress for tired eyes or a headache, and to stop gums from bleeding after a tooth is pulled. Green tea in candy is used for gum disease. It is helpful in preventing dental cavities, stress, chronic fatigue, treating skin conditions and improving arthritis by reducing inflammation. Green tea or coffee may reduce stroke risk. 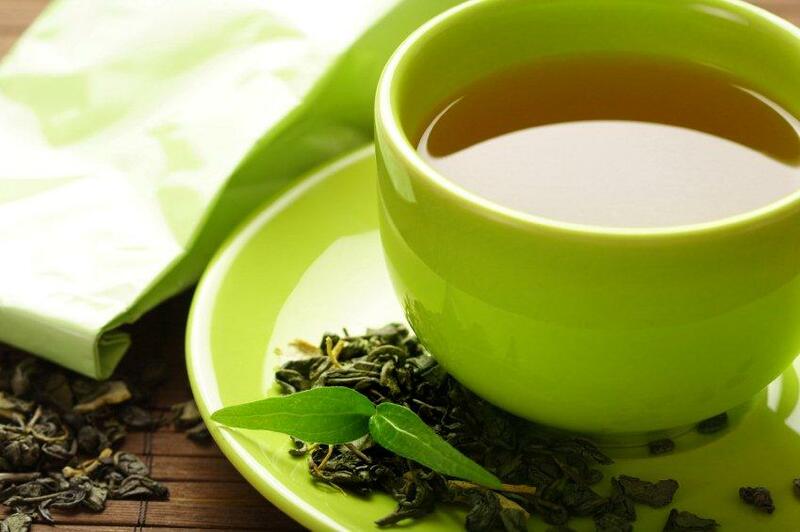 Green tea may help fight prostate cancer. thanks for sharing .Good it is beneficial to all.